Join YPT for an absolutely Legendary trip this summer! 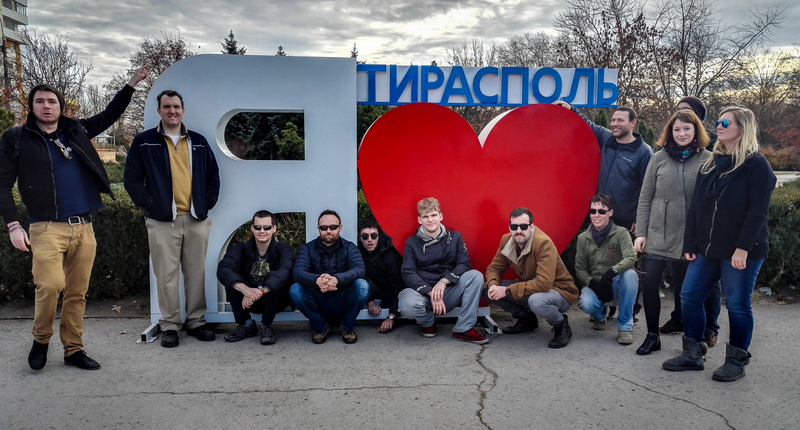 To Begin with, we will Join YPT for a tour in a land that we know and love, the nuclear wasteland of Chernobyl and unrecognized country of Transnistria! After repeated demands, we have decided to give you the ultimate Ukraine tour! This action-packed adventure will bring you face to face with veterans of the 2014 revolution which saw the country descend into civil war, drive a tank, visit military cities near to the current front line of the civil war, cities which were totally out of bounds during the USSR. 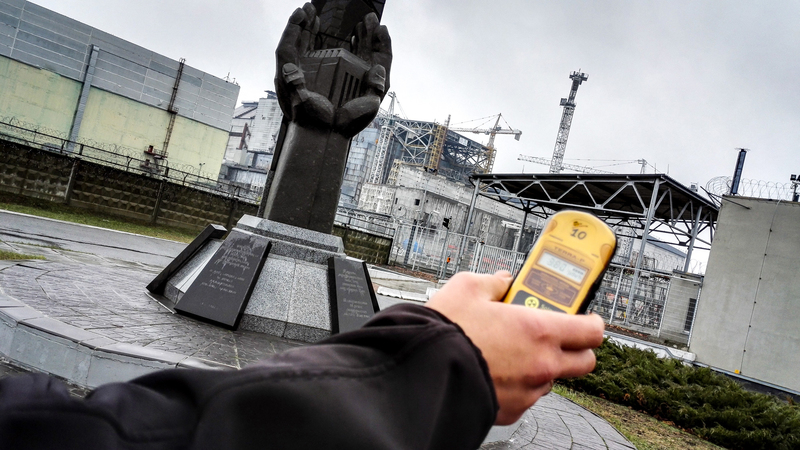 This tour will also take in one of a kind secret missile bases from where WW3 could have started, Cossack strongholds, WW2 history & relics and the opulent palace of corruption of the former Ukrainian president. 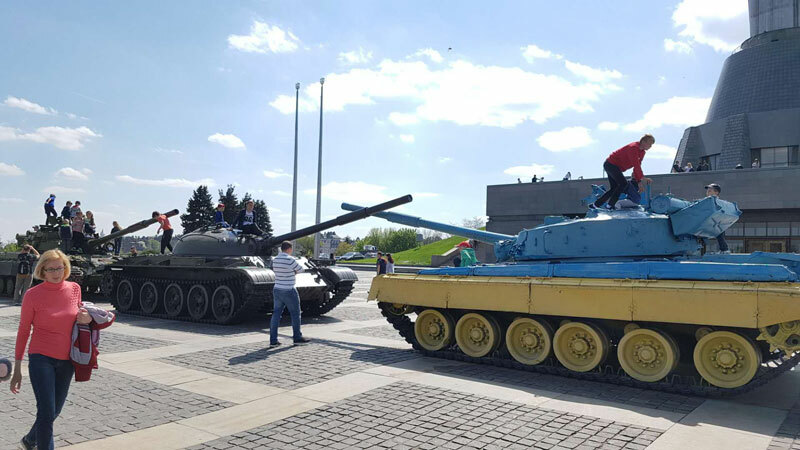 On this tour, we’ll ride tanks, visit the KGB Building and see where the 1st Congress of the Russian Social Democratic Liberal Party met, but there’s more to Belarus than just its spectacular Soviet history which has been so well preserved. We’ll also hang out on a graffiti street, have a tasting at a brewery and ride a children’s railway. August is buzzing in Belarus, with locals enjoying the short, but beautiful summer, and we’ll get to really soak in that atmosphere when we spend a day at one of their favourite holiday spots outside of Minsk. August is rife with festivals and events, which of course aren’t planned very far in advance, but we’ll have our ears to the ground to see what we can go to. A couple we’ve got our eyes on are Vulitsa Brazil, a festival where Brazilian/Belarusian graffiti artists paint new murals on October Street and around the city, and the other is A-fest organised by Alivaria Brewery. After Belarus, we’ll then continue our journey into the very recently war-torn Russian republic of Chechnya. 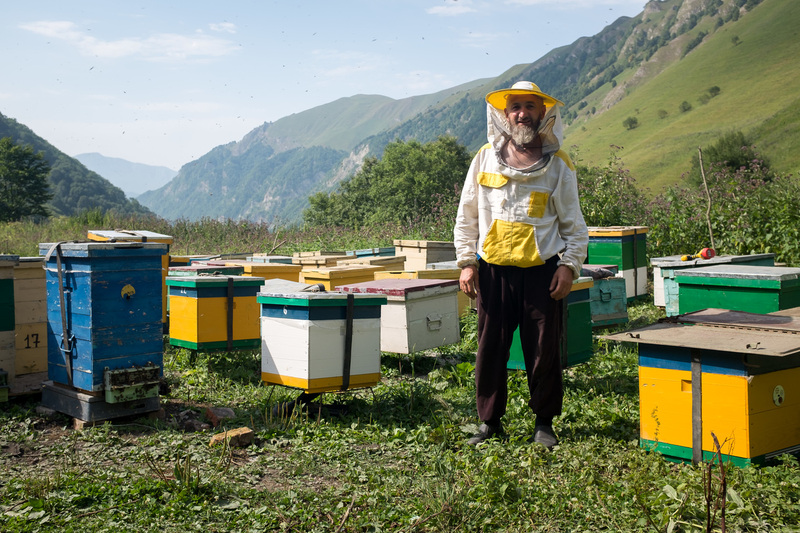 Formerly one of the most significant areas of the old Soviet Union in respects of tourism and home to both stunning natural beauty and also the fiercely nationalistic yet extremely friendly Chechen people. It doesn’t get much more adventurous and off the beaten track than this trip. During our time here, we’ll be crossing mountain ranges, hiking through the countryside of the volatile border area with Georgia, visiting the strange smelling sulphur springs, taking in the majesty of various monuments and of course rounding off our days with evening drinks in the vibrant city of Grozny. From there, we charter our bus and leave a conflict zone of yesterday in what is very much a conflict zone of today – South Ossetia. Stuck between Russia and Georgia, the world’s youngest unrecognized republic has its own language and culture. We’ll be walking around with war veterans and going around sites of importance to understand the history behind the conflict. We finish this mega-combo tour with a blast, riding all the way down the road of bones to reach one of Stalin’s most infamous gulags, Magadan. There we’ll experience wild siberia, camping by the gulag and even visiting its mines. Pre-tour meeting at the hotel at 6pm. We start with a day tour of Ceausescu’s Bucharest! No trip to Romania would be worth its salt unless we went and looked at everything and anything Ceausescu related, the don of Eastern Bloc extreme. We will do a local walking tour, seeing all the must-see sites from “revolutionary” times such as Parliament Palace (the big palace), Revolutionary Square, and the old centre. We’ll even sneak into his final resting place to “pay respects”. Morning and afternoon trip to Cricova Winery to see the winemaking process and to of course sample some of Eastern Europe’s best wine! This is one of the most fantastic wine cellars you are ever likely to see. Traditional Moldovan Dinner at La Placinte. Mid morning departure for the 2 hour bus ride to the breakaway republic of Transnistria. We continue to walk down the main street until we reach the ghost train station, renovated and well maintained. It seems like a ghost town because only a few trains stop here, and there are almost no passengers. Beside the train station is an old Soviet train from WWII with the hammer and sickle on the front. We continue our walk to the river. There is a huge and lovely river walk. There are statues and old amusement rides including bumper cars here. A scene right out of the 1950’s, but the rides are still operating and are very cheap. We check out of our hotel and board our transport to Odessa. Farewell drinks for those leaving after group one. Overnight in Kiev for those continuing on to group 2. Meet new arrivals for group 2 at our hotel in Kiev. As a group, we will meet a veteran of the recent Euromaidan revolution and begin a walking tour of Kiev to introduce you to this amazing city and see the sights were the revolution raged in 2014. The tour will also take in breathtaking churches, monasteries, monuments and dominating Soviet architecture. Stop for lunch in a Soviet-style canteen with great, hearty food on offer. Visit one of the deepest Metro stations in the world that doubled as a nuclear bunker for the masses in the Cold War. We will then head to one of Europe’s greatest war museums, the vast National Museum of the History of Ukraine in the Second World War. 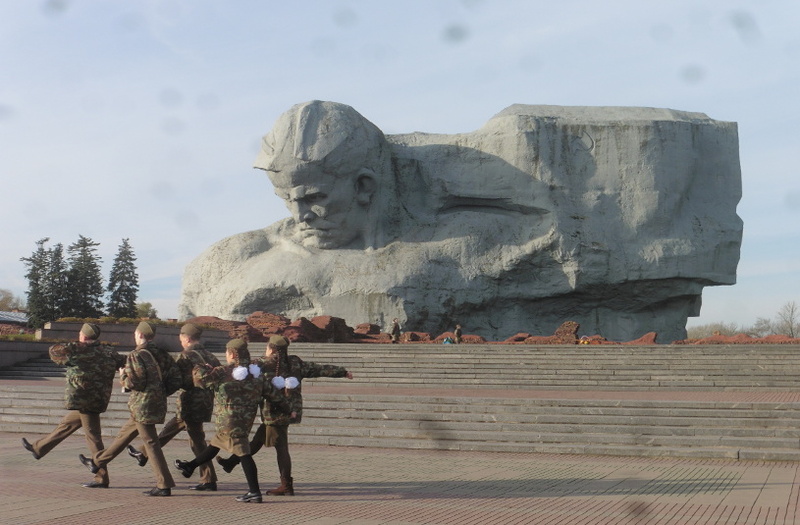 Topped with the gigantic Rodina Mat statue and boasting many awe-inspiring and colossal Soviet war memorials, tanks, aircraft and nuclear missiles. Inside the museum is a hive of rare WW2 relics and amazing displays and dioramas of critical WW2 events. If weather conditions allow, we will climb to the top of the Rodina Mat statue for a bird’s eye view over Kiev. There is also the chance to climb inside and explore the cockpit of the world’s only assault gunship, the feared Russian hind. Free time in the evening and then dinner at a traditional Ukrainian restaurant. This day will see one of the highlights of the trip; tank driving! We grab breakfast at the hotel and this action-packed day will start fairly early. We will meet our driver before leaving Kiev for the day and cutting across the Ukrainian steppe. We will be heading for a military base at an undisclosed location where we will be briefed and familiarized with security and safety procedures. You will then meet the Ukrainian troops who will be accompanying us and the 15-ton war machine that we will be riding before taking turns driving. The adrenaline filled, off-road driving that follows will take us through the Ukrainian wilderness, through acres of scenic forests and steppe. You can take as many photos and as much video as you like. We will then try some traditional Ukrainian lunch and vodka with the troops in the wilderness. Another ride back to base along the highway to get some final excellent photos and video. Transfer back to Kiev and arriving back to the hotel in the evening, we will freshen up and head out for dinner. We grab breakfast and head out of Kiev into the countryside. The day will be spent exploring the lesser-seen part of the Stalin line surrounding Kiev from preserved to battle-scarred Red Army bunkers, tunnels, and hideouts. 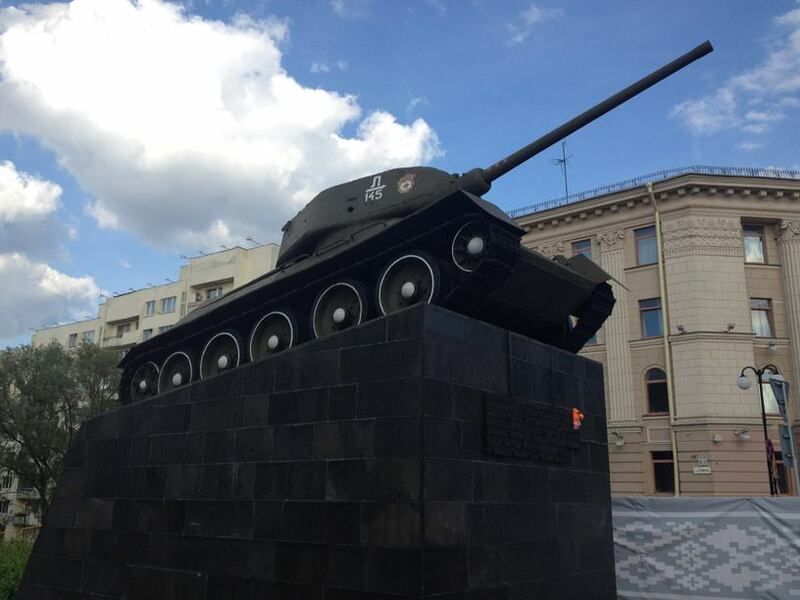 Our guide will provide some harrowing stories of the vicious fighting and brutal last stands that took place here during the Nazi invasion of Ukraine. Our final destination will be a bunker in the middle of a lake with an artillery piece on top, which can be reached by boats we will hire. We will have some kebabs and beers overlooking the lake and can cool off in the water afterward. Drive on the Kiev-Odessa Highway approximately two hours. Possible visit to a rural shooting range owned by an eccentric local who sometimes allows tourists inside to fire a range of heavy weapons and machine guns. Our next stop is a secret Soviet missile attack base. Arrival to Museum and meeting a manager of the museum, the ex-officer of the base. Briefing on the history of the Intercontinental Ballistic Missile base of ICBM silo launcher in Pervomaisk in a pavilion with many exhibits. Head down a hidden passage through 150 meters long underground corridor. Take a lift 12 floors down to the bottom of the Unified Launch Control Center. (the lift can barely fit three people so with a big group may take some time. Visit the rest area of the officers and climb one floor up to the control center, where the launching equipment with “THE BUTTON” which would have ended the world is located. You are free to push it and initiate the firing sequence, luckily, no rockets will be fired. 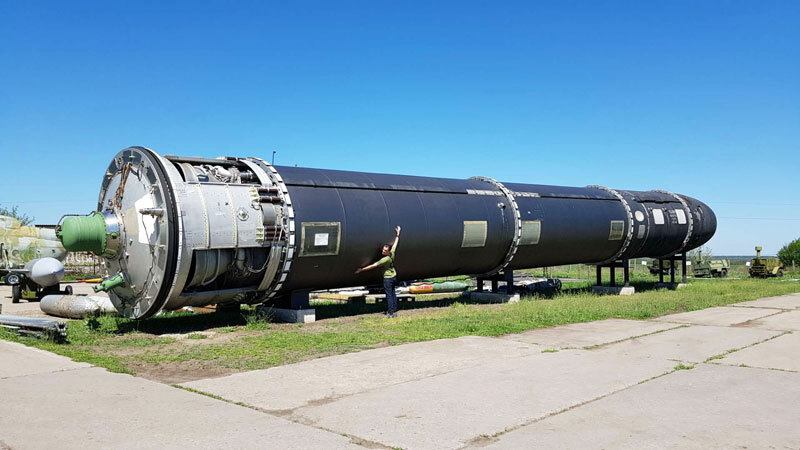 See the guards’ bunkers, tanks, artillery, missile trains, silos, trucks and the infamous SS-18 “Satan” Intercontinental Ballistic Missile. Everything can be climbed on, and many can be entered, such as Russian army helicopters. We will then transfer to the frontline city of Dnipro. 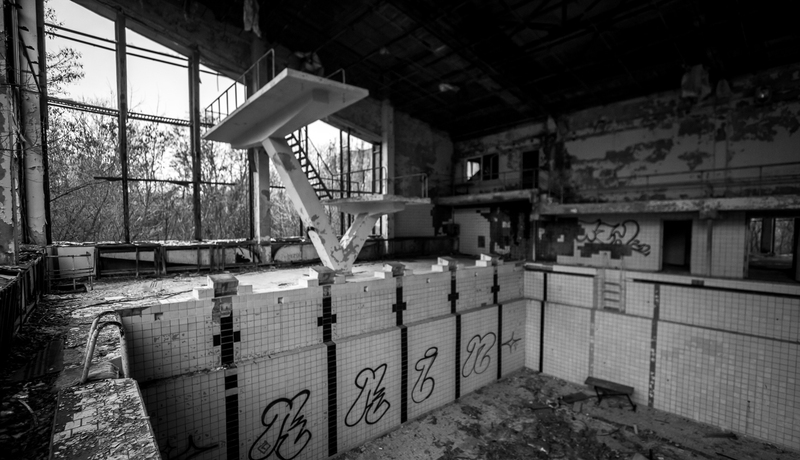 The Soviet Rocket City is formerly known as Dnipropetrovsk: It was closed by the KGB in 1959 and only reopened for visitors in the 1990s. In the conflict zone of Eastern Ukraine and 250km from the rebel-held capital of Donetsk. Breakfast at a traditional Ukrainian restaurant. Walking tour around Dnipro city taking in the Dnipro-arena (Site of EURO 2012), a monument in honour of the victory football cup during the USSR. We’ll then head to embankment called “Naberezhnaya”, Monastery Island, Taras Shevchenko Monument, who had a great contribution to the development of Ukrainian culture, then visit St.Nicolas Church and Waterfall “Porig Revuchiy” – The Roaring Rapid. We’ll see Taras Shevhenko’s Park, then Transfiguration Cathedral – the first building of Yekaterinoslav – city built in honor of Russian Empress Catherine the Great. Visit the Yekaterinoslavskiy boulevard and walk along Yavornitskogo avenue to the fountain of the Muse. Return to the hotel for some free time. We’ll enjoy dinner at Pazata Hata and later drinks at the famous “Walk of Lights” party street. We grab breakfast and check out of the hotel for the drive to Zaporizhia, a major city on the Dnieper River. We’ll spend the day exploring the heart of Cossack country as the city is home to Khortytsia Island, a former Cossack stronghold with the Khortytsia National Reserve and the open-air Museum of Zaporizhian Cossacks. We grab lunch before heading to the Regional Lore Museum which explores Cossack, Scythian and medieval history. If time permits we will see the Boguslayev Museum of Technology which has jet engines and motorbikes. We grab supplies for the drive back to Kiev. After lunch, we will head to the former residence of Ukraine’s ousted president, Viktor Yanukovich. There are few places on Earth like the $75 million residence. Since he fled the country, this luxurious site has been opened to the public and has become a must-see destination for locals and tourists alike. From the ostriches in his private zoo to the replica Spanish galleon, to the exquisite landscaping across the expansive 140 hectares of territory, you’ll see firsthand why Yanukovych was named by Transparency International as the world’s most corrupt politician in 2016. After exploring inside the opulent house, we enjoy a golf car ride around the 350 acres residence with stops to see main sights: Spanish galleon, golf courses, Putin’s guest house, retro cars collection, helipad. Return to Kiev for some free time. Evening flight and arrival to Minsk for those continuing to group 3. After breakfast, our first destination today will be the Azgur Museum. This huge room used to be the workshop of Soviet sculptor Zair Azgur, and there are still hundreds of different sizes busts of Soviet leaders staring down at you as you walk around. After lunch we’ll visit the Alivaria Brewery and Museum, where you’ll have the opportunity to taste their finest brews. Beginning at Lenin Square, take a Soviet walking tour of the centre of Minsk, strolling the length of Independence Avenue past the KGB building and many other iconic Soviet landmarks. Visit Tsentralny, a famous local drink-and-have-a-bite place where you can buy supplies for the train trip the following day, and experience the hustle and bustle of one of Minsk’s most popular spots. At night we’ll visit the iconic Rakovsky Brovar, a local brewery and institution. Leave first thing in the morning to catch the train to Brest. On arrival in Brest we’ll have take a walking tour of the quaint, very European-feeling old town. After passing through Lenin Square, we’ll meander down the Alley of Lights, a street lined with unique lanterns all designed by local artists, and every one of which is totally unique, from a nose wearing a suit, to a shoe-polisher whose chair you can sit on, to a horse and carriage. You can even put your foot in a giant boot! After exploring the cobble-stoned, cafe-lined streets, we’ll finish the tour with the daily lighting of the lamps – a famous Brest tradition. For dinner, we have the option of Tractir, a local restaurant famous for authentic Belarusian cuisine and homemade flavoured vodkas. The horse-radish one will definitely put hairs on your chest! After dinner, we’ll get a taste of Brest’s wild nightlife at Coyote Bar. Yes, you got it, a tribute to the movie Coyote Ugly! Overnight at Hotel Bug, a delightful little hotel covered in Soviet art and murals. Begin the day with breakfast at one of Brest’s many cafes. Our first stop will be at the Brest Fortress, or Hero Fortress as it is often known. A 19th Century Russian Fortress, this spectacular example of Soviet architecture is now a war memorial commemorating the first battles of WWII featuring two of the most amazing Soviet monuments in the former USSR. The next stop will be at the train museum, an open-air museum featuring locomotives from throughout the 20th century. Free time in the centre of town for lunch. After lunch you can continue your free time, browsing the many shops and cafes, or simply taking in the vibe of the town. Optional activity: visit the Confiscated Items Museum, a small museum full of religious icons that have been confiscated at border points, with an interesting display about the nearby Polish land border crossing. We’ll head to the train station in the evening to catch the night train back to Minsk. Arriving in Minsk early in the morning, we’ll stop for breakfast at a cafe near the train station. Leaving Minsk we’ll visit Nesvizh Castle. Go as a group to the Jewish cemetery in Mir. Free time to explore Mir Castle (presenting options of audio guide etc.) and also town. Return to Minsk and have free time in the evening. Leaving Minsk again, we will visit Belaz, a factory which produces industrial vehicles. Here you’ll see with your own eyes how the world’s biggest dump trucks are assembled, and you’ll even have the opportunity to ride one! Stop at a supermarket to buy supplies for the rest of the day. There are plenty of barbeque spots, but no shops at our final destination. Arrive in Plescenitsy and experience summer life like a local, relaxing lakeside for the rest of the day, surrounded by forest. Free time in the afternoon and evening, during which you might like to use the sauna, or play some volleyball or badminton. You could also take a boat out on the lake, or just sit in a gazebo and find some locals to drink vodka with. Leave Plescenitsy in the morning and start driving back towards Minsk. Visit Khatyn, a breathtaking complex of monuments devoted to the village of the same name which used to inhabit the space, but of which all 156 inhabitants were massacred in 1943. In the afternoon we’ll visit Stalin Line, a huge open air museum of military history, including tanks, rockets, artillery, cars, helicopters, aircrafts, bunkers, and much more. Dinner in the Old Town before a night of debauchery at the Moulin Rouge bar – Minsk’s unique and indescribable mixture between a brothel, a shisha bar, and a professional dance show. Start the day with a trip to the new WWII Museum, an important part of any trip to Belarus. Visit October Street where there are a couple of options for lunch. After lunch, take a walk down October Street; an incredible insight into Minsk’s modern hipster scene and the gentrification of the city, this is a street in an industrial area where the brick factory walls are covered in graffiti and little hipster cafes are popping up between old factories. During our tour of October Street, we’ll visit the Y museum, a small contemporary art museum run by local artists. We’ll continue with a driving tour of Minsk, including visits to the Former Residence of Lee Harvey Oswald, the House of the 1st Congress of the Russian Social Democratic Liberal Party, and the famous KGB Building. You won’t miss the Belarus National Library, a spectacular and bizarre building that resembles a futuristic cosmo station, and of course we’ll make a trip to the huge observation deck on the top floor. Take a ride on the Children’s Railway. It’s not a miniature railway like you might think of with that name, but instead it’s a fully functioning, yet small, railway run completely by children. Farewell drinks for those leaving after group 3. Overnight in Minsk and morning flight to Moscow for those continuing on to group 4. Around midday, we meet up for a classic YPT Moscow city tour including Red Square and the KGB building as well as to the new Soviet statue graveyard. We will enjoy dinner at the Soviet nostalgia restaurant before heading out for a few summer night drinks in this vibrant capital city. YPT do love an epic train journey, and it doesn’t get much better than this – 36 hours from Moscow to Grozny passing through pristine Russian countryside, as well as areas that were a full-on war zone. A full day on the train (with the odd stop along the way). We will eat in the very decent quality restaurant cart served by the standard-issue grumpy old Russian dude. Your YPT guide will be on hand to keep you entertained and answer any questions for you about the upcoming itinerary. FLIGHT OPTION – Those who have chosen to fly from Moscow will board the morning flight from Moscow to Grozny (TBC). Morning arrival in Grozny where we will be picked up by our local guides and transferred to our plush accommodation for the trip. We’ll have a packed afternoon following lunch, taking in the Kadurov Museum, Square of Journalists, Monument to the Dead Journalists, Monument of Nations Friendship, Putin Avenue, Manor House, the National Library of Chechnya, the Theatre and Concert Hall of Chechnya, the Akhmat-arena Stadium and the Mother’s Heart Mosque. The capital city of Grozny was completely rebuilt following the war and now looks like a modern metropolis. We take a slow walking tour of the town to get a feel for modern Grozny. Dinner, drinks, and overnight in Grozny. Breakfast and tour to Tsoi-Pede, one of the largest medieval cemeteries in the Caucasus, 111 km from Grozny. This “City of the Dead” is located on the Georgian border and is a medieval necropolis – and probably the most famous tourist attraction in Chechnya! The local legend has it that the necropolis was built in the Middle Ages, when an epidemic hit the area, for the local sick people to go to and die. According to others, though, it was a resting place for medieval knights. Visit the stunning Michalowski waterfall and the suspended iron bridge (100m above canyon). Walk amongst the 42 crypts and the two pillar-shaped altars. Look around the Ostalowska twin towers, the Phakic medieval castle and the local history museum. Take in the stunning scenery and medieval architecture and the general mysteriousness of the City of the Dead! We take the scenic drive back to Grozny stopping on the way at various sites of beauty as well as a few rest stops. Breakfast at the hotel before another full day of touring. We head first to the National Museum of Chechnya, the main museum in Chechnya. This museum houses fascinating artifacts from Chechen history, and we will learn more about the historical struggles of the Chechen people. Drive to the town of Urus-Martan and visit the open air, ethnographic Dondi-yurt museum. This private museum includes traditional Chechen housing, rural towers, nomad tents, and all kinds of archaeological finds. If we’re lucky the museum’s curator, Adam will be around to answer our questions! Head on to Starogladovskay and look around the Leo Tolstoy Literature and Ethnographic Museum. We take the scenic drive back to Grozny stopping on the way at various sites of beauty for photographs as well as a few rest stops. We’ll head for dinner and drinks before sampling the Saturday night scene, Grozny style. Although Chechnya is a Muslim region and there isn’t really a drinking scene, there are cafes and the like, and we will make the most of our Saturday night! Get up early for another day out to Kazenoy-Am. We stop off in the town of Kharachoy and pass through the scenic Andean ridge where we can see classic North-eastern Caucasus mountain scenery. Next, we will visit the spectacular Kazenoy-Am Lake. This is the biggest lake in Chechnya and one of the most beautiful places in the region. We will take our lunch break here as well as offering lots of time for pictures and additional activities. Drive to Khoy, the Village of Guards, and wander around the medieval settlements in the village. We take the scenic drive back to Grozny stopping on the way at various sites of beauty, and a few rest stops. Up early for the drive to Ingushetia, the second republic of the Chechen-Ingushetia republic and the scene of some of the fiercest fighting during the war of independence. 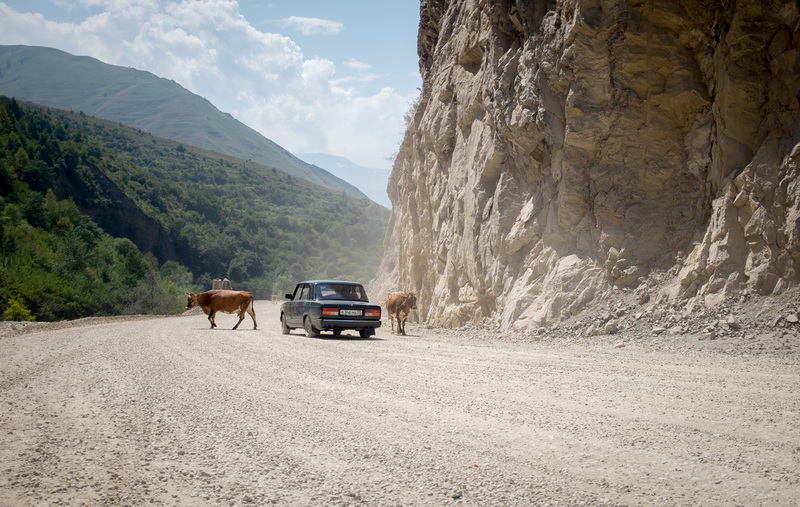 On our way, we will drive through the spectacular Dzhejrakhsk canyon for some breathtaking views. Visit the memorial complex of victims of repression in Ingushetia. This is a fascinating complex in true Soviet style. Head to the Magas Towers and drive through the Cey-Loamsk pass (2200m) to the observation platform, taking in more jaw-dropping scenery and medieval buildings scattered in these mountain lands. Look around the Thaba Nerdy Church – this church dates from the 8th-10th centuries and is one of the oldest Christian churches in Russia – before heading on to the castle complex of Vovnushki, one of the ‘Seven Wonders of Russia.’ This castle had defended the residents for centuries until Stalinist deportations emptied the local population. Scenic drive back to Grozny with rest stops along the way. Drive to the town of Gudermes. Visit the Eternal Flame lit for the Gudermnians who died in World War Two. Visit the aqua park, Chechnya’s first water park complex, the geothermal water centre, and head out to the Dzhalkinsk grove and reservoir for one last chance for some north Caucasus fresh air! Final drive back to Grozny. For our last night in Grozny, we head to a restaurant serving traditional Chechen cuisine. Farewell drinks for those who are leaving and overnight in Grozny. For the others, we board our private bus to Vladikavkaz for the next part of our adventure! Arrival in the southern Russian city of Vladikavkaz. Flight option – Board the 10.40am flight from Moscow to Vladikavkaz. Arrival 13.50. Vladikavkaz is the capital of the Russian Republic of North Ossetia, as well as home to one of Russians biggest Army garrisons. In the evening we head out for dinner, drinks and a walking tour of the city. Dinner and overnight in Vladikavkaz. We take a driving tour around Vladikavkaz. Next, we will board our private bus to South Ossetia and the village of Cey for lunch and a look around. Before arrival we will need to go through South Ossetian customs and immigration, which is somewhat of an interesting experience itself. Walking tour of Cey for some photographs and a look around, before we transfer to Croz village. We check into our local homestay in this small Ossetian village complete with home cooked food and local wine and vodka – the perfect way to begin your Ossetian adventure. Up early for a local breakfast in the village homestay. Drive to Dzheru-dzuar which offers breathtaking views of Georgia for a chance to explore and take some photos. Drive down to the villages of Dmenis and Goret on the border – this area saw the pick of the fighting during the 90s and again in 2008. After lunch, we tour around the village with a local war veteran who spent two years defending his village during a military siege here in the 90s. With our local guides translating he will answer any questions you have about the South Ossetian wars of independence. Overnight and dinner in the veteran’s house in the nearby village of Chalisubany. 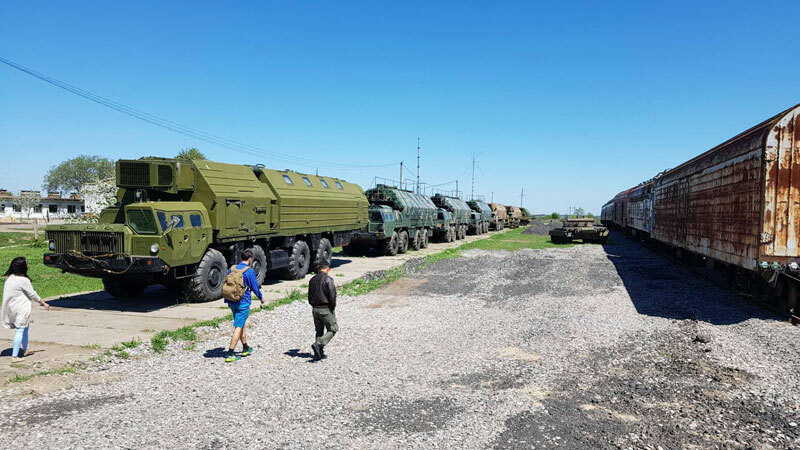 Morning transfer to Leningor – this place was recaptured by the Ossetians following the war of 2008 and there are still many reminders of the recent war. This is a mixed community with there still being a majority of ethnic Georgians with the lari being accepted as legal tender. We tour around this unique ethnically mixed and extremely tense city. After lunch, we transfer to Ckhinval (Tskhinvali), the capital city of the partially recognized state of South Ossetia. Here, we will check out the Russian theatre, government buildings, Armenia church, Ossetian theatre, tank war monument and visit the local market where illegal Georgian produce is on sale. Dinner and drinks in the Vincenzo cafe. This is one of the focal points of the capital city and we will enjoy local food, drinks and music. Overnight in the aptly named League of Champions Hotel. Tour to Tirsk monastery where we enjoy a very scenic picnic lunch. Georgian wine is some of the most famous in the old Soviet Union, so we will try and get a sample whilst at the university. Drive back to Ckhinval in time to teach an English class at the local university. The local students are extremely friendly and open to talk about their country. We will take some free time to buy some souvenirs, with cool kitsch like flags and postcards being available. For our last dinner together, we will enjoy a traditional Ossetian Dinner (lots of meat and wine). We finish the evening with a small bar crawl and farewell drinks. Overnight at League of Champions Hotel. We take our flight back to Moscow Sheremetyevo (SU1043) where those not following us but who have chosen the flight option will leave. For those who carry on, we will meet our new group members and then do a bit of airport lounging before our flight to Magadan (SU6289) departing at 19:55 The flight takes 8 hours and arrives at 12.25pm the following day. We are met at the airport by our local guides and driver for the 50km trip into Magadan, the trip should take about an hour and takes us through the ‘Road of Bones’ which was built by forced labour. We stop at various places on the way. On arrival, we check into the 3 star VM-Central Hotel, this is a masterpiece of a hotel and a must for Soviet watchers. Following lunch, we take a city tour of Magadan with the main site being the visit to the ‘Mask of Sorrow’ – a monument to the memory of victims of political repression. We start the day nice and early with a trip to the Regional History Museum and its 5 halls of the Gulag and Chief Directorate of Camps. Visit to the Geological Museum which documents the gold discovered in the region (a principal reason for the forced labour). Memorial museum of Vadim Kozin – In 1944, shortly before the birthday of Comrade Stalin the KGB chief Beria called him up and asked why his songs didn’t involve Stalin. Kozin famously replied that songs about Stalin were not suited for tenor voices. In late 1944, Kozin was sentenced to five years in jail as part of the repression campaign against prominent Soviet performers and was sent to the Magadan Gulag. It’s not a Soviet trip unless you see a big statue of Lenin, so we head for sunset selfies with the original Bolshevik. Dinner and drinks in Magadan. The big reason for coming here! We get up early for the long drive to Dniprovsky Mine – the Soviet Prison camp operated between 1941 and 1954. Much of the infrastructure used when it was a gulag including the watchtowers, huts and barbed wire fences are still intact. We spend most of the day here exploring. 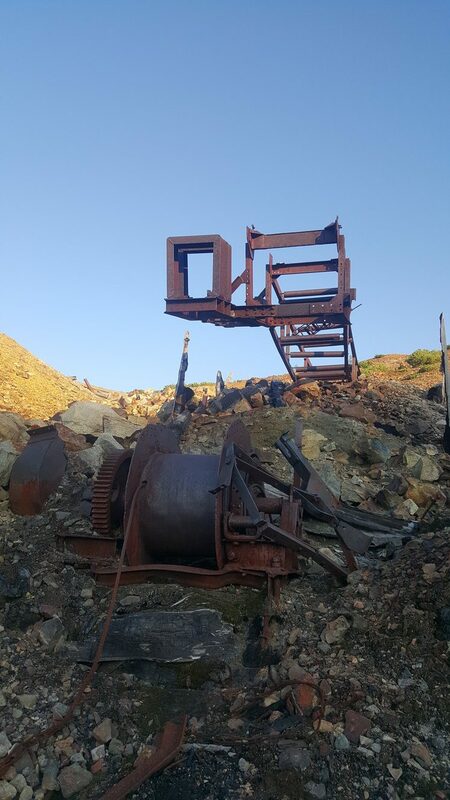 Depending on the situation we will visit a number of ghost villages either before, or after our trip to the mine. 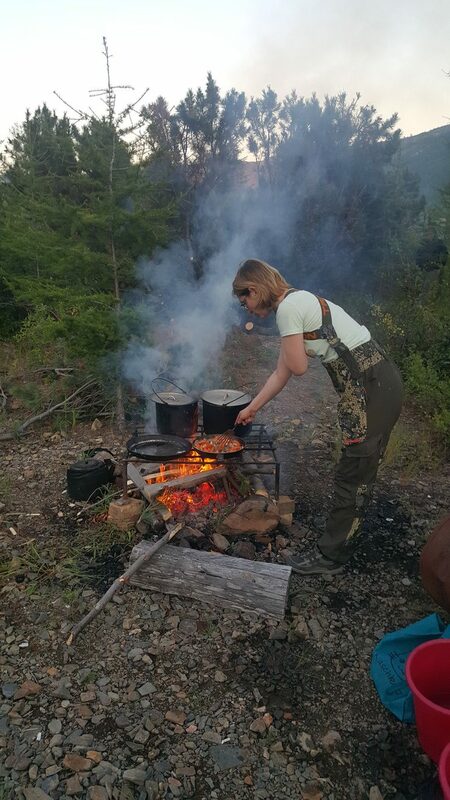 At night, we camp out in the countryside near the mine including a BBQ and obligatory vodka. After putting our tents away, we head for another day of exploring this massive mine complex ably led by our expert local guides. We take the leisurely drive back to Magadan stopping on the way for various picture opportunities and rest stops. On arrival back in Magadan, we check back into VM-Central Hotel. We get up and nice and early for the drive to the sea of Okhotsk on the east coast of the Russian Federation. This is an extremely scenic drive with us taking the opportunities to stop for pictures where possible. Legal fishing here starts on June 20th, so we will take the opportunity for a day of sea fishing (trying to catch Salmon and Sockeye), should we fail to catch anything our local professionals will pick up the slack. BBQ lunch by the sea cooked on a bonfire. We take the slow drive back to Magadan. Up early for a tour to the Ollu Village site. Tour Nyukli and surrounding area, which is one of the must-see places in Magadan with views of the bay, and the monument to the Cazegradsky-Biblin expedition. We return to Magadan for lunch. After lunch, we head to the Azman hills with rare natural phenomena. Until July there is even still snow here. At night, we head out for our last group dinner (their may be Borsch involved). Although Magadan might not be renowned for its thriving nightlife, we still make the most of our last night by heading to the Okean Bar for a YPT style last night party (where vodka is most probably involved). Free morning for last minute shopping, walking or relaxation. The Top 7 Soviet Jokes – Newly Declassified! Chechnya – How to Break Rules and Take Tea with the Vice President. Ride a tank and shoot a Kalashnikov at Stalin Line, a huge open-air museum of military technics, including tanks, rockets, artillery, cars, helicopters, aircrafts, bunkers, and much more. Check out the main sights of Chechnya, including Tsoi-Pede. This “City of the Dead” is a medieval necropolis and the local legend has it that the necropolis was built in the Middle Ages, when an epidemic hit the area, for the local sick people to go to and die.